How Far Can You Go with a Trucking Career? A career in the trucking business can be an exciting choice. A career in the trucking business can be an exciting choice. There are different directions in which your career can go, allowing you to create the perfect design for your life. Whether you’re an adventurous person or one that needs to stay closer to home, you can still go far with a career in trucking. Read on to learn more about how you can succeed and go far with a trucking career. There are two possible destinations when creating the perfect trucking career – long haul or local. If you choose the long haul, you’ll be traveling greater distances and will likely be away from home for days at a time. Long haul drivers, otherwise known as over-the-road drivers, pick up cargo and take it to drop-off points all across the country. It’s a great choice for more adventurous drivers and those that want to explore new frontiers. Drivers considering long haul careers must weight the pros and cons of being away from home for days. If it fits your lifestyle, it will be a great career for many professionals. Local trip drivers stay close to home. As the name suggests, they only complete jobs within a set distance. Because the distances are shorter, they usually complete multiple pickups and deliveries each day. Local trip drivers often travel throughout their home region, allowing them to maintain a more active home-work life balance. Both long haul and local trip drivers typically transport a wide variety of cargo to its respective destinations. However, when you choose to pursue a trucking career you can also pick a specialization. There are hazmat truckers who transport dangerous materials, like flammable and combustible materials, and items that could be dangerous to health, including poisons. Tanker drivers are responsible for hauling fuel, water, cement, and other forms of liquid cargo. Specialization driving requires extensive training and even a special certification from the government, especially for hazmat truckers. 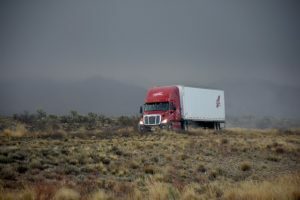 This entry was posted on Thursday, January 3rd, 2019	at 3:30 am	and is filed under Trucking Lifestyle	. You can follow any responses to this entry through the RSS 2.0	feed. Both comments and pings are currently closed.